I was invited to Finovate Singapore by the organisers of the conference in my capacity as Editor of The Digital Insurer. I jumped at the chance as the conference approach looked fresh ,with demos from more than 20 vendors over the course of one day. Each demo lasting no more than 7 minutes. I have to say my high expectations were more than met. It was a superb conference and for insurance professionals there are lots of “crossover” opportunities to apply leading edge banking technology to the insurance industry. Well done and congratulations to the team at Finovate for bringing such a great format to Asia. I am sure, and certainly hope, that Finovate will come back to Singapore next year. If you can’t wait until then you can catch up with at their London conference in February or at San Francisco in May next year. And because Finovate know how to engage with their audience you can download, for free, an App on the conference which contains all of the conference details, including vendor summaries and contact information (I tried it out and it is a neat little App). You can also see all 600 demos from all conference online – so no excuses if you could not attend. Of course there is much more value in attending and talking to both vendors and participants directly. Checkout the Finovate website . Tibco Software: Nice application that allows for customised and contextual offers to be made to customers – including push based offers on mobile devices . 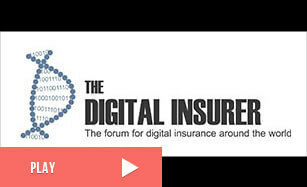 Could be useful for insurers looking at a pure online execution capability or to compliment a customer portal strategy. PerfectSen : Asian based company with an interesting plug-in capability to existing customer portals that allow contextual offers to be given to customers. Could be a low cost pilot option for insurers with an existing portal. I think they also got the best dressed presenters award (see picture). Backbase : Looked like a comprehensive and matured portal offering for banking – including mobile devices and marketing capabilities. 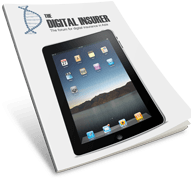 Insurers without customer portals may want to explore this option and how it can be used for insurance customers. Striata: Offer an email solution for the delivery of statements. Their approach which has clearly been honed and refined through experience . It offers security combined with ease of access, rich email content for marketing messages and an “in email” transaction capabilities . Striata could be part of a solution for insurer looking to drive traffic to their customer portals and engage in more refined cross sell / upsell activities. I was also pleased to meet up with Striata’s CEO Michael Wright whom I had not met for a few years.